The US Bankruptcy Court approved a plan for Atari to exit bankruptcy after the company filed for bankruptcy protection almost a year ago. Some of the most well-known games came from Atari, but the company has struggled recently. 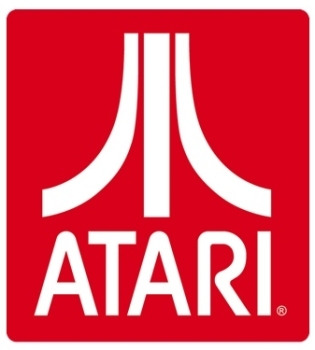 In what Judge James Peck of the US Bankruptcy Court called a "difficult case," Atari will exit bankruptcy from its parent company Atari S.A.
Atari will pay Bankruptcy lender Alden Global Capital the full $3.8 million. Atari will also pay its unsecured creditors up to $560,000 the first year, an additional $560,000 the second year, and $630,000 the third year. Atari's creditors unanimously supported this plan despite being owed $10.3 million. Atari S.A. will contribute $3.4 million and an additional $1.75 million once Atari exits bankruptcy. Atari filed for Chapter 11 bankruptcy protection in January. The plan was to sell a portfolio of more than 200 games to the highest bidder. Unfortunately, Atari was unsatisfied with the 15 preliminary bids after the company reached out to 180 potential purchasers. The company sold off assets in pieces, such as selling Backyard Sports to private-equity firm Evergreen Group for $1 million at a July auction. Stardock Entertainment acquired Star Control property with plans for a reboot, and Wargaming World Limited bid on strategy classics Total Annihilation and Master of Orion in July. Nordic Games picked up Desparados and Silver during this time. Atari's return to its feet is good news for the company. Hopefully this time it will be able to turn things around and be well-remembered for more than Pong.